Gluten Free Beat ®: Sawa - Hip, Chic and GF Accomodating! Sawa - Hip, Chic and GF Accomodating! 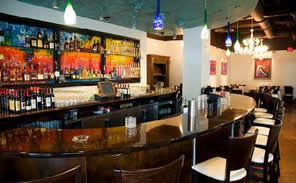 I had the pleasure of having lunch at Sawa Restaurant and Lounge, on the first floor at the Village of Merrick Park. 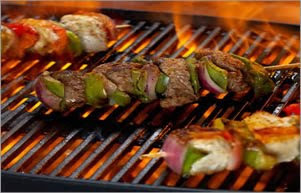 The food was flavorful, filling (which is so difficult for me, I'm always hungry! ), and GF! The decor is upscale and chic; I especially love the art work for sale, displayed on the walls. Restaurants that support local artists get an extra star in my book! And... Restaurants that have a doggy menu get an extra special star, too! Check out Sawa's doggy menu! I'm in love with this place. All pictures are taken from Sawa's website... I know I need to be better about taking my own... it'll happen one day! I had the Gibraltar Organic Spinach Salad - $7.75. The salad contained Balsamic Vinaigrette, Goat Cheese, Candied Walnuts, Fresh Figs. I am the queen of what I call fruity/nutty salads, I adore them. This salad was right up my alley. The waiter checked on the candied walnuts especially, as I was concerned they might have been made with flour. He confirmed all was well, and remembered my allergy for the remainder of the meal (which is a huge plus!). 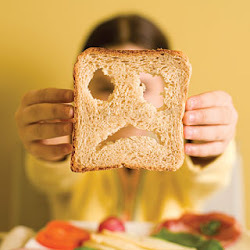 It's always frustrating to speak of your gluten issue, and then have a server put bread in your face... Maybe its just me, but, I still crave bread, so its just cruel!! After my salad, I had the dark meat chicken kebab with basil pine nut jasmine rice - $8. It was delicious, and I'm not even a fan of dark meat chicken. The chicken must have been coated in garlic, it wasn't overkill, was just perfect. Enough to flavor and tasty, but, didn't overpower the chicken. The basil pine nuts were a great tough for the jasmine rice, a perfect accompaniment for the kebab. All in all, a perfect meal!! Thumbs Up! Cheese and Crackers? Yes, Please!! Animal Crackers - GF Style! South Florida Gluten-Free Expo - Feb 19, 2011!! !